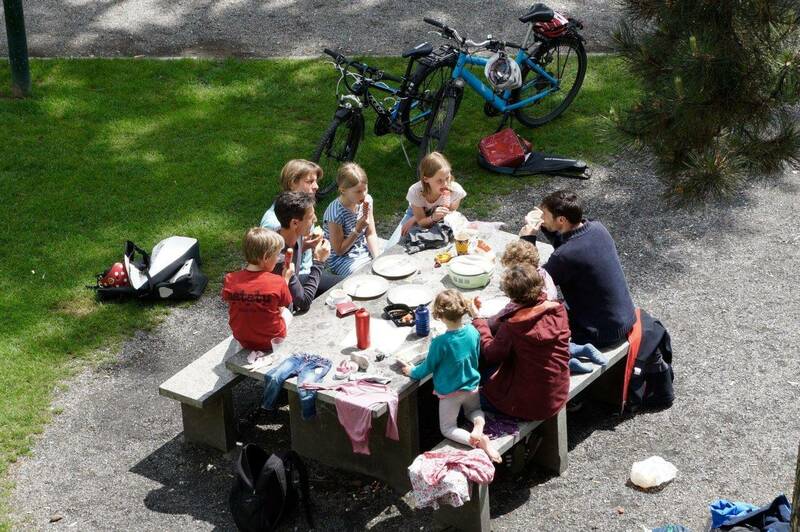 There’s nothing quite as perfect as dining alfresco when the Summer months finally arrive, and a great activity that all the family will love is a picnic. Keep reading for some useful picnic tips. Here at Silver Bay we have an award-winning private beach, perfect for settling down together to create memories that’ll last a lifetime. Inspired by our beautiful beach, we’ve gathered our top picnic tips together so that you can ensure you have an amazing time when you next venture out! In order to have a great picnic, you need to find the right spot. This means choosing somewhere that isn’t rainy or too windy for you to relax! A great location here at Silver Bay is on our gorgeous beach. It’s the perfect summer relaxation point and ensures a picture-perfect picnic for all the family. 2. Don’t forget your blanket! There’s nothing worse than getting to a picnic and realising you’ve not brought anything to sit on! No one wants a sandy or muddy bottom, so make sure you’ve brought your blanket with you. There are also some great waterproof options to stop you getting wet if the grass you’re sitting on is a little damp, for example. So always make sure to choose your picnic blanket wisely. There are a few great things you can carry your picnic food around in. Everything from a bag to life to a traditional basket will be effective, but why not go the extra mile for the perfect picnic this summer? You can purchase some really fantastic picnic baskets that come with all the essentials from plastic cups to cutlery too. They usually have lovely designs inside and can come with a cooling section to keep your food and treats fresh. Shop around before deciding which is the best picnic transportation device for your needs. As mentioned above, some baskets come with a cooling section. But if yours doesn’t then why not consider bringing a big cooler with you? They’re perfect for keeping drinks cold and make for great places to store beers if you fancy a bit of a drink whilst relaxing outdoors. We’re certain you’ll love the added extra of chilled food and drink! If you don’t have a picnic basket with plates and cutlery already in, why not invest in some throwaway plates instead? They will make sure there’s no washing up to do when you get home, as well as saving you from lugging dirty dishes around whilst you enjoy your day. 6. Make sure you have a selection of everyone’s favourites! Perhaps the most important part of any picnic is making sure you bring the right foods! If you’re a parent, you’ll know just how fussy children can be when it comes to what they like to eat, so ensure you pack a treat for everyone to make sure they all have a lovely picnic with some tasty treats to enjoy. It’s also a good idea to keep it balanced. Some healthy snacks, alongside some tasty treats, allows everyone to enjoy the food as well as getting some nutrition in their system. 7. Bring some fun games and activities! A picnic isn’t complete without some fun games and activities, so why not do something extra special on your next family day out? A great pastime that everyone loves is Frisbee, and in the park or on the beach is a great place to play this game because there’s plenty of room. You could even bring a kite with you and fly that if the weather is right for it. We’re sure the kids will love the chance for everyone to play together as a family. There are a few more essentials that you need to bring beyond food and a blanket to make sure you have a great time. It’s always a good idea to pack some sunscreen just in case the sun makes an appearance. Don’t be fooled into thinking you can’t be burnt in the UK because you most certainly can, just as bad as any other sunny destination! It’s also a good idea to bring tissues and hand wipes so everyone can clean up after eating. And finally, don’t forget your camera. You will want to remember these fun memories for a long time to come and they’ll look fabulous in a family photo album! 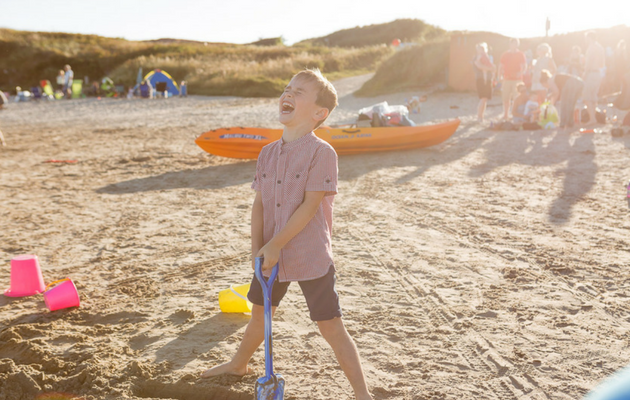 If you want to create some wonderful memories for you and your family then why not consider buying a holiday home here at Silver Bay? We’re the perfect escape for those looking for a luxury UK holiday village, and you can access us via car and enjoy our amazing island for all it has to offer. Why not explore the lodges we have available or take a look at our eBrochure? See if you’re inspired and feel free to call on 01407 860 111 and speak to our helpful staff to find out more!